February is a month filled with love and beer. For us at Little Bottom, the latter is more important. 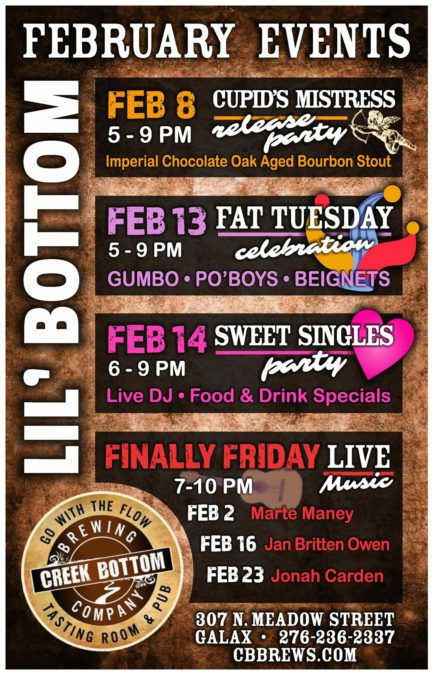 Come see us for our “Cupid’s Mistress” beer release, our Fat Tuesday celebration, our Sweet Singles Party, or on a Friday night for live music!